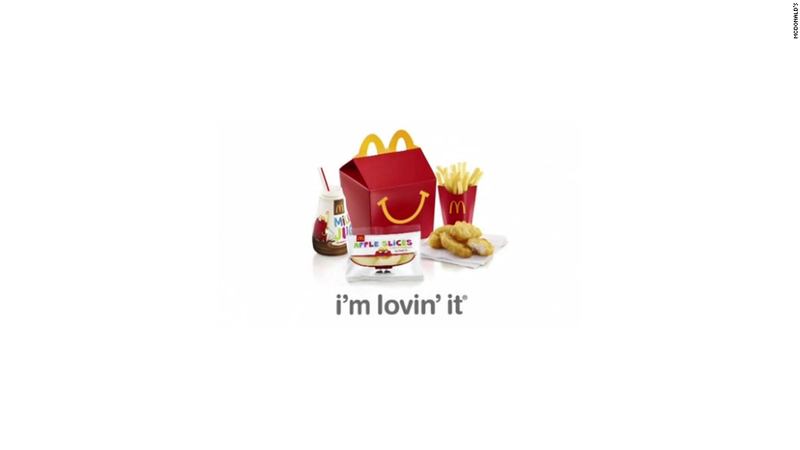 New York City wants to put the Happy Meal on a diet. The McDonald's (MCD) kids meals, as well as those from Burger King (BKW) and Wendy's, are in the cross hairs of the New York City Council, which is considering restrictions on any fast food meals that includes a toy. Councilman Benjamin Kallos introduced a "Healthy Happy Meals" bill Thursday that requires them to have no more than 500 calories and 600 milligrams of sodium. Additionally, less than 35% of those calories should come from fat, less than 10% from saturated fats and less than 10% from sugar. The meals will also have to contain a serving of fruit, vegetables or whole grains. "It is difficult enough for parents to give their children healthy food without the fast food industry spending hundreds of millions of dollars per year advertising to children, and nearly half of that on toys," said Kallos in a press release. "If restaurants are going to incentivize children, they should incentivize them to eat healthy." The New York City Department of Health says that half of the city's elementary school children are overweight, Kallos added, and cites a report from the Federal Trade Commission that found the fast food industry spent $714 million on marketing to children in 2009. The bill has to be approved by the city council's health committee, then the city council and will go to Mayor Bill de Blasio. Of the three Happy Meals on the McDonald's online menu, only one - the Chicken McNugget meal - adheres to the bill's proposed guidelines, with 415 calories, 550 milligrams of sodium and a serving of apples. The other meals featuring cheeseburgers or hamburgers, exceed the calorie and sodium limits. The cheeseburger alone contains 680 milligrams of sodium, bringing the meal's total to 880 milligrams. McDonald's, Burger King and Wendy's did not immediately respond to requests for comment. San Francisco imposed similar restrictions on Happy Meals in 2011. But McDonald's sidestepped the ban by changing its policy to only provide toys with meals at the request of parents, and charging them an extra ten cents.